Sears in Bandra should be on your list of shops-to-hit-up-before-a-wedding. We tell you why. A wholesale shop located bang on Turner Road, Sears is a family-run establishment that sells fabric for men’s wear. 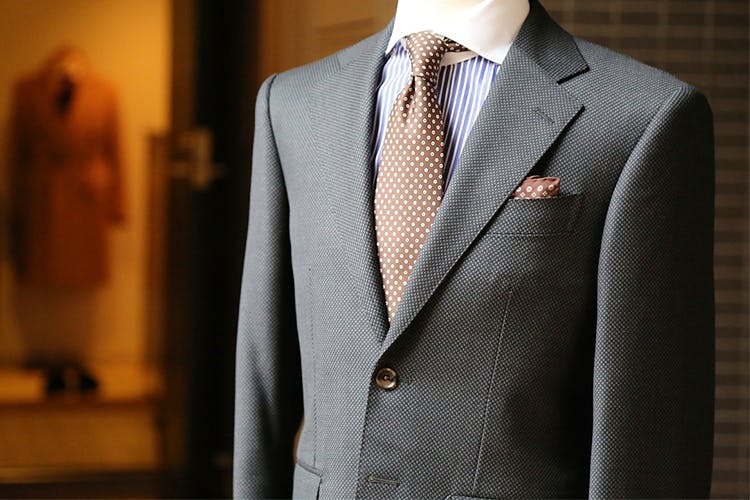 We inquired for a two-piece men’s suit and were in for a revelation. While the majority of us think that wool = warmth, it’s actually not true. Depending on the wool content in a fabric, the quality of it is determined. The fabrics sold here are wholesale and they usually supply it to the retailers across the city. But, they do accommodate individual requests at the store. The fabrics here range from plain ones to the snazzier ones in prints. The prices start at INR 2,450 per metre, going up to 30,000 per metre and more. If you are looking to invest in quality fabric at a lower cost, look no further. Sears will sort you out.